Three teenagers from small town Nebraska. Two went to war and never came home. The other spent much of this year giving new life to their story. Here’s how and why this happened. Look at an old black and white photo of Henry and Louie Pieper. They may be dressed in U.S. Navy uniforms and headed to war, but it’s hard to see anything other than two very young looking twin brothers. 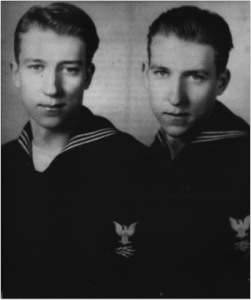 The boys from the small town of Creston were just 17 when they enlisted to fight in World War II. Vanessa Taylor knows kids just like the Pieper twins. “Small town guys that went off to fight, to help their country. Yeah I think definitely, lots of people from around here,” said the 16-year-old from Ainsworth, 170 miles to the west of Creston. The Ainsworth High School junior also knows a lot about Henry and Louie, formally known as Julius Heinrich Otto Pieper and Ludwig Julius Wilhelm Peiper. Taylor talks about how these sons of German immigrants graduated from their high school in Creston, between Columbus and Norfolk, worked for the railroad in Lincoln for a few months, then joined the Navy in 1943 because that’s the branch their older brother chose. She knows Navy policy initially split up the two radiomen, but they were put on the same ship after a written request to their commanding officer. And she knows about their transport ship, LST 523, which 12 days after D-Day was ferrying supplies to Normandy beach, and taking back casualties and prisoners. “They made two round trips from England to the beaches of Normandy, and then on their third trip they hit a mine and the ship sunk. So they went down together,” Taylor said. Seventy years separate Taylor from the Pieper twins. A history project brought them together. “She has such tenacity with the National History Day program,” said Nichole Flynn, Ainsworth teacher and Taylor’s coach with the school’s History Day team. Taylor had won state championships and placed nationally in the academic competition, but wanted more. So Taylor and Flynn applied and were among 15 student-teacher pairs selected for a special National History Day program called the Normandy Sacrifice for Freedom: Albert H. Small Student and Teacher Institute. They picked what the institute refers to as “silent heroes” who died as part of the Normandy invasion; the Pieper twins for Taylor and Flynn. 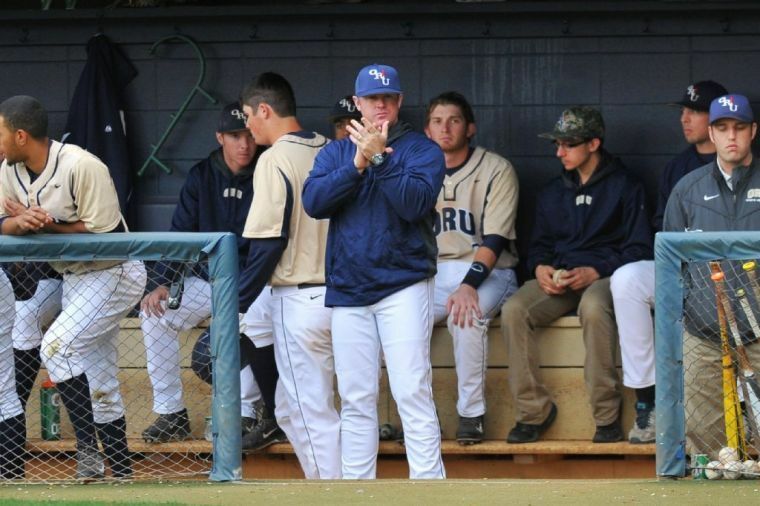 “We spent the spring semester reading books and watching videos and having online discussions with the other teacher-student teams who had been selected to participate,” Flynn said. They also visited their home town and talked by phone with their younger sister Mary Ann Lawrence, who now lives in California. All in preparation for a summer trip to France. 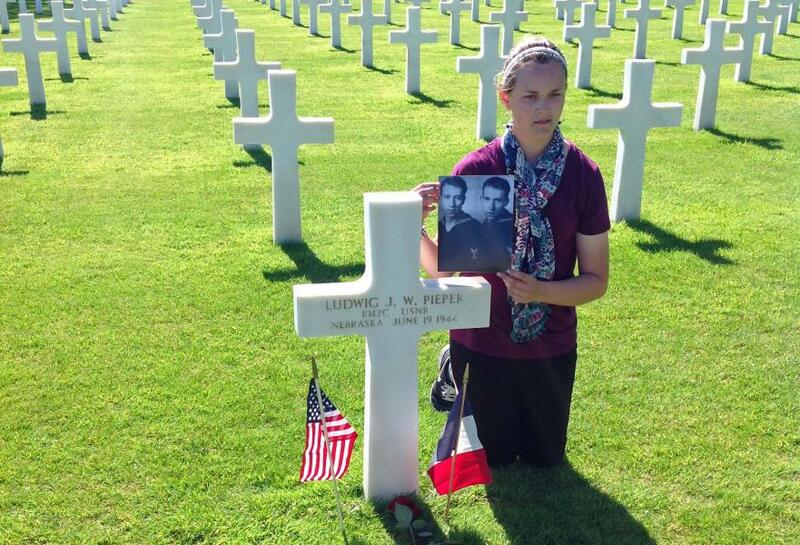 There standing in Normandy American Cemetery next to a simple white cross where Louie Pieper is buried, Taylor delivered a eulogy she wrote for the twins. “When I started this project, the names Ludwig and Julius Pieper were only just that. Names to me. But now I am so thankful that they have become heroes in my eyes,” Taylor said at the beginning of her eulogy. Since Henry’s body wasn’t found at the time, she repeated the eulogy by the wall of the missing. Other students did the same for their silent heroes. Flynn, whose grandfather served in World War II, said watching her student deliver the eulogies was a highlight of a trip with many memorable moments. Taylor and Flynn came home with more than memories. They brought news to the Pieper family that Henry’s remains had likely been identified years later and were buried in Belgium, something they found out while talking with a Department of Defense forensics expert. Flynn brought back knowledge she can share with other students in Ainsworth. And both returned with the desire to make sure people don’t forget about those who died during World War II. “Having them study a silent hero from their own state really helps them make a personal connection to the sacrifice that was made by so many, by really truly understanding one person and their life and their sacrifice,” Flynn said. Taylor says it’s important to honor the silent heroes, like a couple baby-faced twins from small town Nebraska.